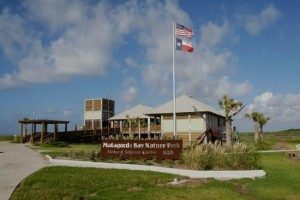 This 1,333-acre park and nature preserve is located at the mouth of the Colorado River on the Matagorda Bay peninsula. Visitors can enjoy two miles of Gulf of Mexico beachfront, birdwatching in coastal marshes and wetland paddling. Tent camping and RV amenities are available for overnight stays. There also is a gift shop with snacks and souvenirs and a rental facility available for up to 100 people.